SMARTmark Systems - our configurable laser equipment focused on delivering “Simplified Marking And Real-time Traceability” – are most often chosen by customers because of the product’s capabilities and quality, as well as the quality of the mark it produces. 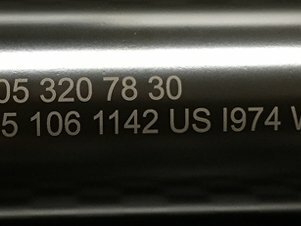 Providing an industrial solution for product identification and traceability, our Fiber Laser Marking Systems allow manufacturers to mark or engrave serial numbers, bar codes, 2D Data Matrix and graphics on the widest variety of materials, including metals, plastics and ceramics. The SMARTmark Fiber Laser is a referenced product in the Rockwell Automation PartnerNetwork that integrates into factory automation networks using native EtherNet/IP protocol and embedded controller technology. MECCO is known for the high quality of the marks we produce, and these samples from SMARTmark® Fiber Lasers showcase some of the common applications that highlight its capabilities. 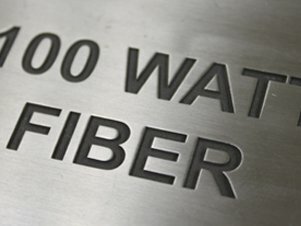 Fiber lasers can be used for a wide variety of applications, from industrial traceability to branding, on materials such as steel, copper, aluminum, plastic, ceramic, and brass. 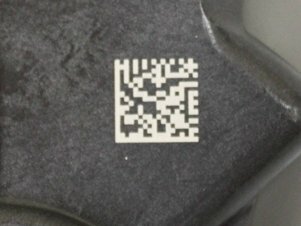 Watch videos of the Fiber Laser marking machine. 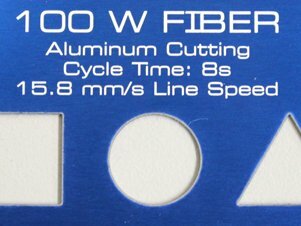 MECCO’s Fiber Laser machine is available in 10W, 20W, 30W, 50W, and 100W, giving it the capability to mark or engrave the widest variety of materials, including steel, titanium, aluminum, copper, ceramics, and plastics. Ranging from an energy level of 0.5 mJ to a maximum energy of 1mJ, each system is designed to deliver the precise power needed for your application. Contact a member of our team today who can guide you to the best solution based on your specific marking goals. MECCO’s technical specifications for the SMARTmark Fiber Laser marking machine clearly define the equipment components. 10W-50W: 19.736" x 5.188" x 4.961"
Follow MECCO’s lens configuration guidelines for marking field and focal length. 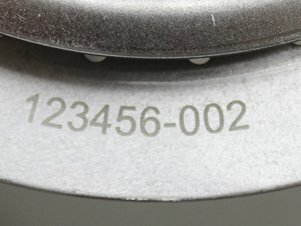 A U-Model is the core product for making traceability marks on your parts. It consists of the laser rail with controller and is the choice for machine builders to integrate marking into a larger turnkey solution. Lasers can be added to standalone, configurable enclosures that are designed to meet CDRH Class 1 safety regulations. Available in a range of sizes to meet the requirements of your parts. 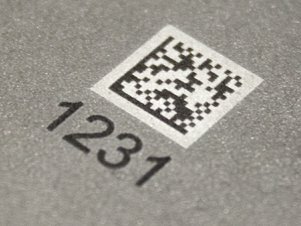 SMARTmark® Laser Marking Systems are configurable to your part and process automation requirements. With our Engineered Solutions, we can design and manufacture an enclosure to meet your needs in part handling, vision, software and database integration. When part-marking inefficiencies began to inflate production costs, this aerospace components manufacturer transitioned to a new laser marking system in order to successfully overcome five big challenges.